Last night I did something that I am really excited about. I signed up for a letterpress course. I happened to look for and find a course that is in the evenings just down the road from work and that starts at a time that fits in with my slightly hectic schedule! I cant wait. I have always wanted to learn more about and have a go at letterpress. Letterpress is relief printing and was the normal form of printing up until the second half of the 20th century. There has been a bit of a letterpress revival in the last 20 years. I am looking forward to getting my hands dirty and learning a new craft. I will keep you posted on how I get on! 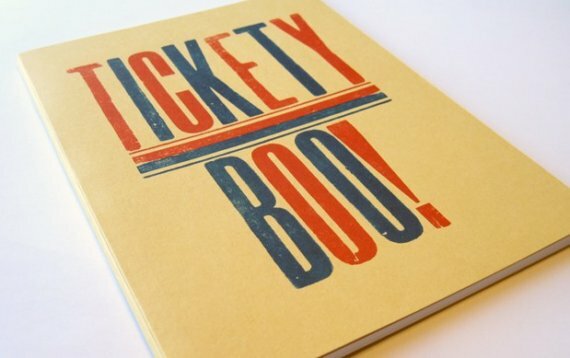 The above image is a beautiful letterpress notebook from SORT. They have some lovely letterpress treats on their etsy shop.